Each Gravity Ball™ has 2 distinct strap systems including the adjustable Velcro® straps and the fixed-length loop straps. 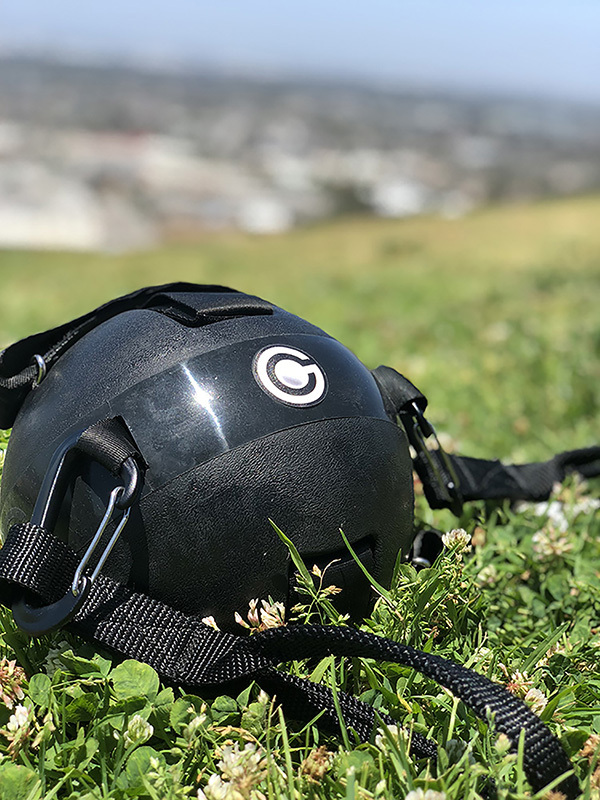 In addition, every Gravity Ball™ has four attachment anchors equally spaced along the black center band that can be used to attach various accessories including straps and resistance bands. Applications for the Gravity Ball include physical therapy, yoga & Pilates, adaptive fitness, group fitness, rehabilitation and sports. The Gravity Ball’s pair of adjustable straps use high strength Velcro® to secure the weight to your hands or feet which allows you to maneuver the weight without needing to grip it, this is called Grip-Free Resistance Exercise™. The fixed length loop straps are located underneath the adjustable straps and slide over your wrists to allow you to exercise with the weight held at the wrists as well as perform various stretches the involve both arms or feet. 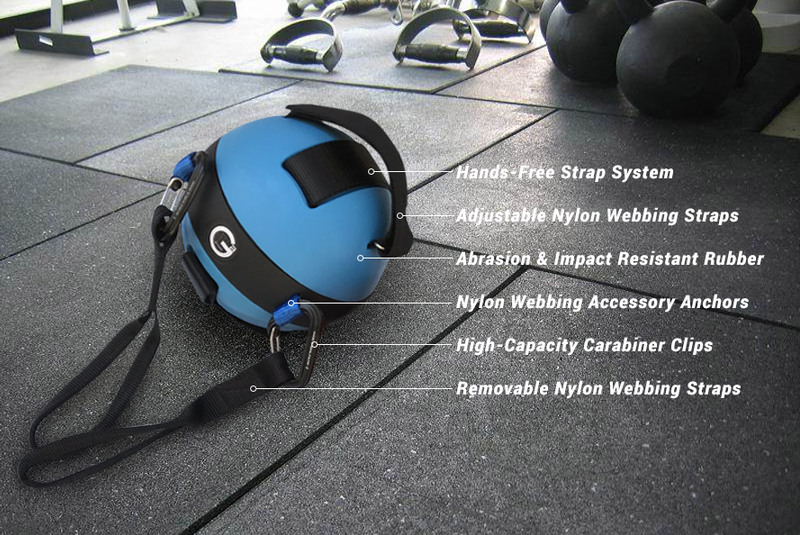 The four black attachment anchors located along the Gravity Ball’s center band can be used to attach various accessories such as the soft straps included with each Gravity Ball™ or resistance bands to provide the user with multiple other ways to use the Gravity Ball™. The Gravity Ball comes in one size (about the size of a volleyball) and three weights, each differentiated by color. Which weight should I use? 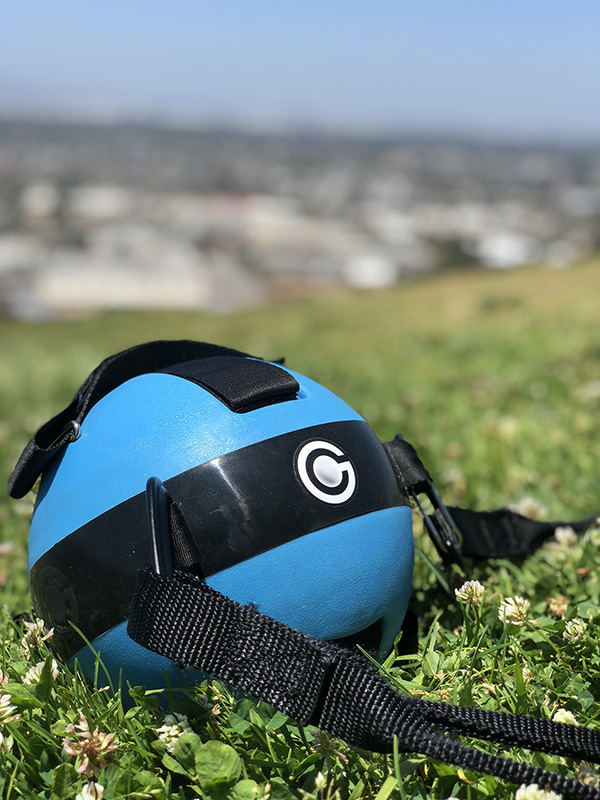 Dr. Mark Chavez, physician and life long fitness enthusiast invented the Gravity Ball™ during a point in his life when he had lost his own health. 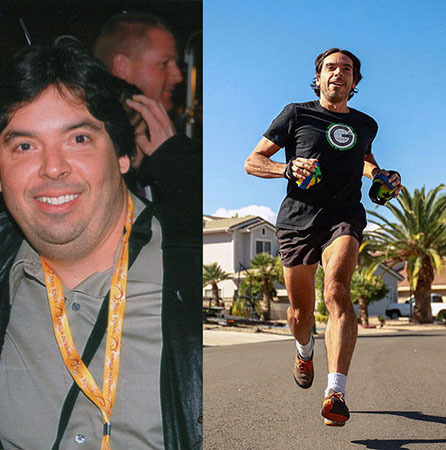 He had gained 60 lbs and spent long hours working in the emergency room. His bodybuilder father had recently undergone a devastating nerve surgery that caused him to loose his grip strength. Dr. Chavez was driven to find an all-in-one solution to resistance exercise that was effective, challenging, compact and versatile. Furthermore, he wanted to find a way for his father to be able to exercise again. The Gravity Ball was born! Today, Dr. Chavez helps others to gain access to the life changing benefits of consistent resistance exercise.